Celebrating Hollywood’s support for organ and tissue donation, Donate Life Hollywood will host the third annual Donate Life Hollywood Inspire Awards on June 22. Television episodes, films and celebrities will be honored at the event, held at Hollywood’s historic Avalon Theatre. 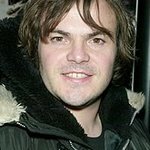 Jack Black has been supported and attended the Renal Support Network’s Renal Teen Prom for the past two years. Grizz Chapman from “30 Rock” is a kidney recipient and supports kidney disease awareness through the National Kidney Foundation. Brad Ellis, the piano player in “Glee,” is a heart recipient and sits on the advisory committee for the documentary “The Power of Two.” He also likely inspired the “Glee” storyline on organ donation! Ryan Merriman plays the brother of an organ donor in the independent film “The 5th Quarter” and has long supported organ and tissue donation. Also expected to attend are Arianne Zucker (“Days of our Lives”), Chrishell Stause (“All My Children”), Trent Garrett (“All My Children”), Jacob Young (“All My Children”), Natalie Hall (“All My Children”), Lindsay Hartley (“All My Children”), Rebecca Budig (“All My Children”), Jordi Vilasuso (“All My Children”), Stephanie Gatschet (“All My Children”), Sarah Glendening (“All My Children”), Denise Vasi (“All My Children”), Eddie Matos (“All My Children”), Préity Üupala (former Miss India) and Terrell Carter (“Soul Kittens Cabaret”). Entertained: The writers utilized organ/tissue donation and transplantation to tell an engaging and dramatic story. Enlightened: The episode conveyed factual information about the organ/tissue donation and transplant process and did not perpetuate common donation myths. Inspired: Viewers were left with a positive feeling about organ/tissue donation that may motivate them to sign up as donors. Donate Life Hollywood is a project of Donate Life America and OneLegacy designed to engage the entertainment community to inspire their fans and viewers to donate life.